Thanks to the Writing Process Blog Tour from Emily June Street, I’ve been inspired to create my own reward chart. I have a lot I want to do in September, so I’ve had to prioritize it. 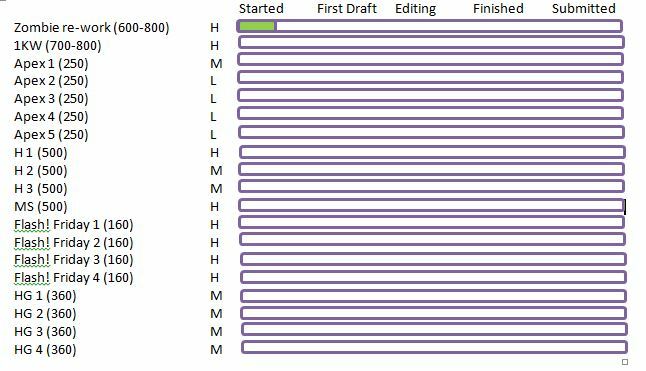 This is my chart, with word counts, priorities and status. Previous PostPrevious Who writes short shorts?